Does Will.i.am Make Great Brands, or Just Fake Ones? Will.i.am has never had much trouble generating publicity. His funky wardrobe helps, as does his music cred: He's a founding member of the seven-time Grammy-winning group The Black Eyed Peas, and happens to be the only artist in the world to have sent music to Mars (his tune "Reach for the Stars" rode aboard NASA's Curiosity mission.) But in recent years, Will.i.am's been forging a new identity. He not only makes music, he makes brands too. The rapper's claims to the product shelf are many. He's a founding shareholder of Beats Electronics (progenitor of the Beats by Dre headphones.) In partnership with Coca-Cola, he's got a clothing line called Ekocycle that features apparel made with recycled plastic bottles. 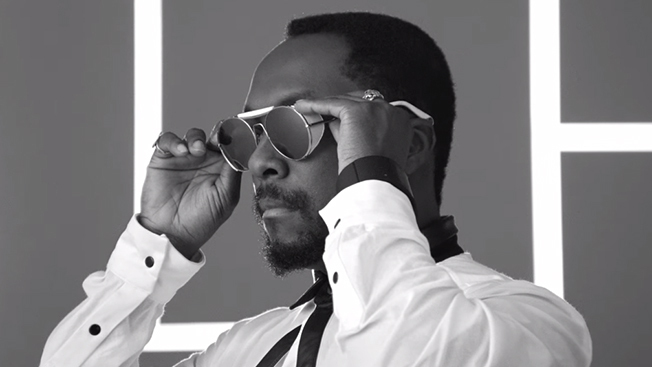 Will.i.am has launched an iPhone camera accessory, a smartwatch and, most recently, an eyewear collection and even a special SUV for Lexus. Sure, we know—this sort of thing is common these days. "The measure of success for a hip-hop artist was formerly street credibility; now it is corporate power," said Adam Padilla, CEO of BrandFire, which represents Run-D.M.C., among other clients. "Style and fashion have a lot to do with the personal brands of hip-hop artists, and corporate sponsorships are a natural evolution of that." The thing is, Will.i.am isn't just sponsoring brands, he's purportedly creating them. But what does that mean, exactly? There's no doubt Will.i.am's projects are unconventional and flashy, but many of them appear to fall well short of being true, successful brands. Take the Foto.Sosho—or, rather, don’t take it, because it’s not for sale. The $475 iPhone camera accessory is basically a bling-heavy camera clamped to the back of an iPhone. Tech reviewers slammed it in 2012 as overpriced, pointless and tacky. (“Looks like it was scraped off the bottom of Liberace’s shoe,” sneered CNET.) But more to the point, the item never made it into real production. The Foto.Sosho was available only at London’s Selfridges, where a rep admitted to The Guardian that only a “limited number” were made for the launch party. The store's website does not list the item for sale. Then there's the Puls. Introduced in October, the wristwatch can play music, make phone calls and run apps without being connected to a smartphone—amazing stuff, even if the watch looks like an iron shackle. Setting aside what the tech writers have said (Fast Company called it “hilariously dumb”), the device—promised in time for the holidays—has yet to appear on the market. And it’s mid November. So why did Lexus hook up with Will.i.am in the first place? "We approached Will.i.am," the spokesperson explained. "We saw a good fit with NX, with our target audience and with the tone of voice for this campaign—slightly provocative, targeting a younger, trendy and urban audience." As Car and Driver has reported, Lexus is trying to look younger these days, so maybe image was more important than a literal model to sell. In other instances, it’s not really clear if Will.i.am truly rolled up his sleeves at the drafting table or—in the grand tradition of celebrity branding—simply affixed his name to the goods. The press release for Will.i.am’s new optical line (available in two retail outlets, Harvey Nichols in the U.K. and Saks Fifth Avenue stateside) hailed Will.i.am’s “reinterpretation of classic eyewear.” But Will.i.am clearly didn't accomplish said reinterpretation on his own. George Gorrow—who attended fashion school and has a genuine track record with successful brands like Ksubi—appears on the project's credits. A spokesperson at ill.i.am optics did not respond to e-mails seeking comment about Will.i.am’s branding process, but The Kernel reported last year that the music artist has a “team of experts who help him make his ideas a reality.” Discussing the apparent miracle of a rapper inventing a smartwatch, The Wall Street Journal pointed out that Will.i.am "built his fortune though stagecraft, not coding." Stagecraft has its marketing merits, of course, and brands award nebulous titles to celebrities all the time. Neutrogena hired ABC’s “Scandal” star Kerry Washington as its “creative consultant” last year; and Polaroid famously gave the same title to Lady Gaga in 2010. What’s especially strange, though, is that Will.i.am himself hasn’t been clear on how he actually creates the brands that bear his name.